Getting a traffic ticket in California isn’t cheap. You can choose to pay the overpriced fine, but you’ll get points on your record which could drive up the cost of your insurance. Going to court takes time and when you represent yourself, you aren’t guaranteed that you’ll get out of your ticket. Instead, get an experienced San Lorenzo red light camera ticket lawyer who knows the ins and outs of the legal system to find a better solution to your case. 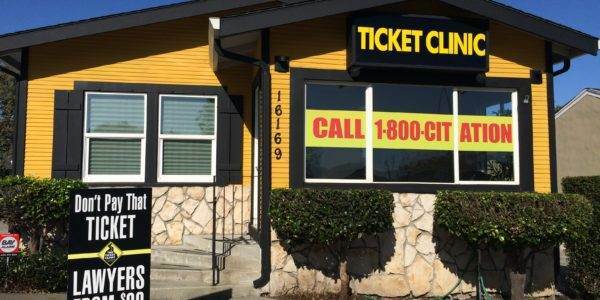 At Ticket Clinic San Lorenzo, our 30 years of experience means that we have seen it all when it comes to drivers in California and the tickets they get. We are experienced at working through the legal system and can come up with simple solutions to complex problems. When you need a traffic attorney, we are the first call you should make. Millions of people get tickets every month in California, and most assume that the easiest way to deal with it is to just pay the fine and move on with life. What they don’t know is that a qualified ticket fighter is just a phone call away. You can choose to plead guilty or no contest, but you’ll also pay a large fine, add points to your driving record and possibly see an increase to your insurance premiums. When you hire one of our suspended license lawyers, we help you fight your ticket to avoid these things. Our goal is no fines, no points and no long-term damage to your driving record. California adds additional surcharges and fees to every traffic citation, so even a simple reckless driving ticket can end up being much more than you anticipated. Fortunately, our services are affordable, and we are available to help you decide how to approach your citation. California’s point system ensures that if you get too many tickets in a short period and they add points to your record, you could have your license revoked or suspended. This makes it next to impossible to get to work and all the places you need to be. When you call The Ticket Clinic, you can rest easy knowing that you have an attorney working for you with your best interests in mind. A real speeding ticket lawyer reviews your case at the onset. Our lawyers will go to court with you. We do more than just push paperwork around. We have 30 years of experience with over 3,000,000 cases under our belt. Since 1987, we’ve made it our goal to get traffic ticket cases dismissed without points or traffic school. When you call us, the first step is to go over a 22-item checklist with you about your case. If the ticketing officer of your San Lorenzo speeding ticket forgets even one thing, we diligently work to get your case dismissed. We want to find the best solution. With our knowledge and background in traffic tickets, we have a good success rate at affordable rates. Call 1-800-967-7608 for an experienced San Lorenzo traffic attorney who can help you find a solution to your traffic ticket. You can also contact us online for more information about our legal services. Keep your license points-free.